More than 60 research groups worldwide are now developing variations of the triboelectric nanogenerator (TENG), which converts ambient mechanical energy into electricity for powering wearable electronics, sensor networks, implantable medical devices and other small systems. To provide a means for both comparing and selecting these energy-harvesting nanogenerators for specific applications, the Georgia Institute of Technology research group that pioneered the TENG technology has now proposed a set of standards for quantifying device performance. The proposal evaluates both the structural and materials performance of the four major types of TENG devices. "Triboelectric nanogenerators are a new energy technology that has shown phenomenal potential," said Zhong Lin Wang, a Regents professor in the Georgia Tech School of Materials Science and Engineering. "Here, we have proposed standards by which the performance of these devices can be quantified and compared. These standards will be useful for academic researchers developing the devices and for future industrial applications of the nanogenerators." The proposed standards are described in an article published September 25 in the journal Nature Communications. Triboelectric nanogenerators use a combination of the triboelectric effect and electrostatic induction to generate small amount of electrical power from mechanical motion such as rotation, sliding or vibration. The triboelectric effect takes advantage of the fact that certain materials become electrically charged after they come into moving contact with a surface made from a different material. The electricity generated by TENG devices could replace or supplement batteries for a broad range of potential applications. Developed over the past several years, the technology has advanced to the point where it can power small electronic devices, potentially enabling widespread sensing and infrastructure systems - as well as powering wearable consumer devices. "Because of the large number of devices being developed, people need to have a standard for judging the performance of these nanogenerators," Wang said. He noted that standards have allowed technologies such as photovoltaics and thermoelectric devices to advance, though the performance of TENG devices is more difficult to quantify because of the different design and materials options available. In their paper, Wang's team proposes a general figure-of-merit which can be used to quantify the potential energy output of the TENG devices. The general figure-of-merit is made up of information from two other sources: the capabilities of the specific TENG structure used, and the surface charge density provided by the specific materials chosen to construct the device. The output is compared to the mechanical energy inputs to provide an efficiency comparison. These measurements are based on plots of the build-up of voltage and total transferred electrical charges from each device. The structural figures of merit are derived from theoretical calculations for each of the four major nanogenerator modes, plus experimental results produced by TENG devices placed into a circuit with a switch and an electrical load. The materials figure of merit depends on experimental measurements of the surface charge density done with an experimental set-up that uses liquid metal to collect the surface charge. Variations in TENG structures allow a variety of applications depending on the source of mechanical energy. The four major groups include (1) vertical contact-separation mode, (2) lateral sliding mode, (3) single-electron mode, and (4) freestanding triboelectric-layer mode. There are also hybrid combinations of these major structural modes. The contact-separation mode, for example, is powered by a periodic driving force that causes repeated contact, and then separation, between two dissimilar materials that have coated electrodes on the top and bottom surfaces. The lateral sliding model uses two surfaces that briefly slide together, then separate, generating a charge. "We can calculate for the four modes what are the best sizes and shapes, and the best power output you can expect for a specific structural figure of merit," Wang explained. Material choices tested include fluorinated ethylene propylene, Kapton, polarized polyvinylidene fluoride, polyethylene, natural rubber and cellulose. The measurement and theoretical techniques were developed by postdoctoral fellow Yunlong Zi and graduate student Simiao Niu, both members of Wang's research team. In developing their proposed standards, the researchers considered what had already been done in setting standards for heat engines and other technologies. 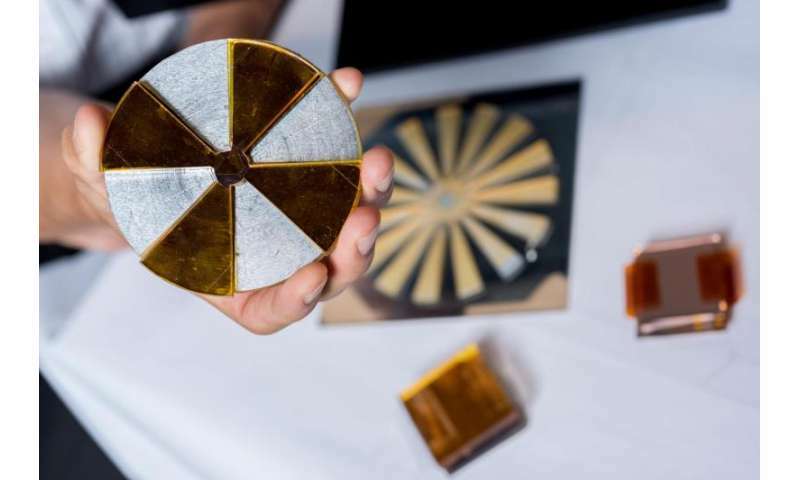 "For triboelectric generators, because the mechanical input is varied, you have different kinds of measurements to evaluate the performance," said Zi. "These figures of merit are considerably more complicated than would be needed for characterizing solar cell performance, for example." Publishing the proposed standards is a first step in what Wang expects to be a long process of gaining acceptance. He plans to spend the next several months explaining the standards to other research groups developing TENG devices. He estimates that there could be 60 research groups around the world working on TENG devices, and he expects that number to grow as the nanogenerators become more sophisticated and powerful. "As wearable electronics become more popular and fashionable, we will need a better way to power them," Wang said. 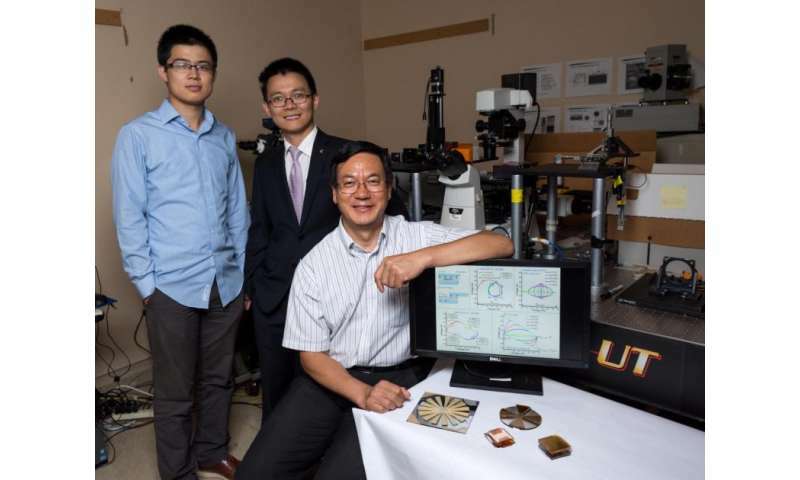 "Triboelectric nanogenerators can play a large role in that. We have spent a lot of time improving the power efficiency, and the field is quickly expanding." Ultimately, he said, the standards could also be modified for piezoelectric generators and other systems designed to produce electricity from mechanical motion.